Dhobi Ghat – Theatrical Trailer – BEST Promo in a long time ! Here it is. 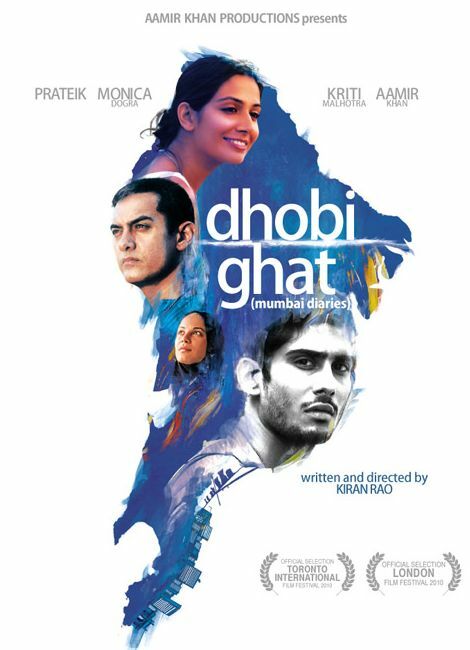 The Theatrical Trailer of one of the most awaited film of 2011, Dhobi Ghat. The film directed by Kiran Rao stars Prateik Babbar in a central role ably supported by the box office magician Aamir Khan. Its a love quadrangle you have never seen before. The film has been appreicated already in various International Film festivals including Toronto International Film Festival in early September 2010. The promo is one of the best one has seen in recent times an the background music is haunting enough to make you watch it again. The Intoduction of 4 lead characters of the movie is brilliantly done. Cannot wait for this movie. The movie releases on January 21, 2010. Golmaal 3 – Whats goin on? Whenever a supposedly comedy Bollywood film releases we get to hear statements like ‘leave your brain behind at home and come’ , ‘do not use logic’ , ‘mindless comedy’ and so on… Why does the comedy in Bollywood films have reduced to collection of gags, cliched jokes, hyper acting, fair amount of slapstick, vulgar double meaning dialogues, lead characters mouthing obscenities and weird action scenes full of crude humor. Why not intelligent comedy with a little bit of wit or smart situations is ever produced in Bollywood is a question to be asked. However Diwali is not the time for such questions as we have seen over the years. Come Diwali and you have a dose of mindless comedies like ‘Golmaal’ or ‘All the Best’ invading theaters and people watch them to get ‘entertained’. And going by box office results majority in India like such kind of mindless entertainment, so who are we to argue !! Golmaal 3 is from the same genre of mindless Comedy from the makers of…Golmaal 1 and 2 of course. There is no connection between the 3 films if you discount the lead actors, director, location of Goa, same co-stars, same character actors and similar sounding plots that is. Basically the director Rohit Shetty and producer Ajay Devgn have a set formula for such films. Have the scenic beaches of Goa as backdrop, have co-stars who can produce slapstick humor, yell and scream and dance to the beat, create some mindless plot about absolutely nothing, have paperboard villain characters with even bad sidekicks and thrown in customary stupid cop guy , equally stupid Don characters and then just make them run around from one place to another in the name of a story. Golmaal 3 takes its basic plot from Basu Chatterjee’s 1978 classic ‘Khatta Meetha’ starring Ashok Kumar and Pearl Padamsee. Here good old Mithun Chakravorty and Ratna Pathak Shah are the ageing parents who get married and forces the fighting batch of siblings that is Ajay Devgn, Shreyas Talpade, Kunal Khemu, Arshad Warsi and Tushaar Kapoor to stay in one house. The first half of film basically leads to this situation. The 2 factions of warring brothers fight and run around doing practically nothing else. In the 2nd half the family contnues to fight and unite and fights again. In between there is plot of Don Pappi -Johnny Lever who keeps forgetting every 5 minutes ( reference- Ghajini) and his 2 stupid sidekicks ‘ Daga aur Teja’. Then there is stupid cop and stupid don doing their useless acts. and then there is Kareena Kapoor, almost the 6th brother , as the tom-boyish Dabboo ( reference her father Randhir Kapoor) who unites the aging couple and warring brothers and hams to the hilt and a Rohit Shetty film is incomplete without blasting cars, flying jet-skis and everything that comes in a way getting destroyed. Nothing more can be said about the movie which is full of references to all kinds of movies of the past, actors of the past including a cover version of disco dancer by Mithunda himself but has nothing else or original to show. The movie has almost non-existent storyline or script and is collection of gags at its best. Some of the gags are indeed laughworthy but when you expect people to laugh at a dog named facebook biting Mithunda’s backside then you really have hit the bottom. The film lives upto its stupidity by constantly making fun of a person who cannot speak and another who stammers. Ajay Devgn if were not the producer of the film is a misfit for such kind of films but must admit that he does play his slightly ‘director-backed’ role quite well , the grungy look goes with his character but why does he has to walk in slow motion every time he enters the screen ? Kareena Kapoor is decent at times but most times she hams and overdoes her tomboyish act. Shreyas Talpade, Kunal Khemu and Arshad Warsi fit their role and Tushar Kapoor again gets maximum footage with his mute guy act. What on earth made Mithunda do such a role and such a movie, no idea. 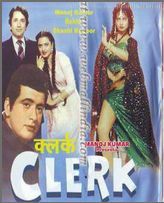 I am sure Ratna Pathak Shah did this film only for money. This is nothing but a brain-dead movie to say the least. The box office might give this film a thumbs up and give truckloads of money to the producer mainly because of the Diwali season and lack of much competition for entertainment in the market. The 9 am show on Diwali day was packed and most shows for weekend were sold out. I am just worried that this might inspire the makers to make a 4th part of this series !! My Ratings – 5/10 Only for some jokes which worked. Watch it as I am sure most of us have nothing better to see.